Thank you Peter! 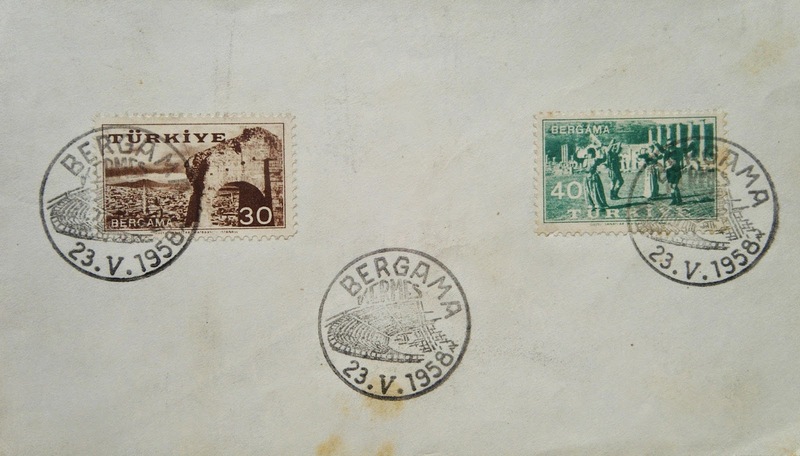 Set of 1957 stamps showing the ancient Greek city of Pergamon. The remains of this city are located near the city of Bergama. This cancel has the Asclepion Amphitheatre of Pergamon on it.